Dear bros.... Any idea where to get nice leather straps for our retro DJs? 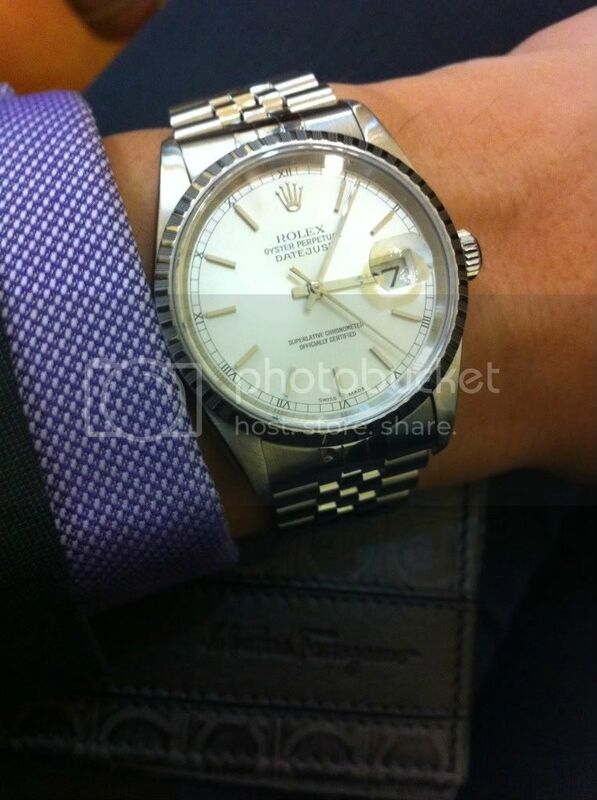 Nice Datejust. Makes me feel like wearing my Datejust today. My bluey Datejust on a nice clear blue sky day!!! Bro hypersocial is very happy with his DJ. Bro Zidane, remember to wear kim kim President's on Fri!!! Ok, and it will be a diff one that i had posted though. Serious?!!! You bought another President's??!!! Or changed another one? I changed to another one as that one has some problems with the bracelet. Bro, you can have a look at the Rolex Gallery. Just posted. pristine condition, with original box/cert/manuals. i got this watch, how much can it fetch ? thought of bringing down to the dealer to sell..